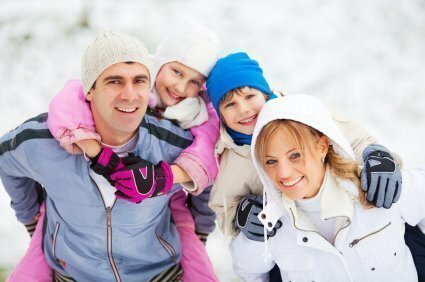 The Beskids are truly charming mountains where families and friends can have a whale of a time together. Our hotel has even prepared a special offer for the youngest ones, where every single detail – even the tiniest one – is really tailor-made. Our chef will offer you a carefully chosen menu with desserts which shall surely pretty much to your liking, little ones! And if you prepare these desserts together with the Chef, the fun will be even bigger! Sweet workshops are a gem! I highly recommend the Klimczok Hotel - great atmosphere, nice staff and delicious food! 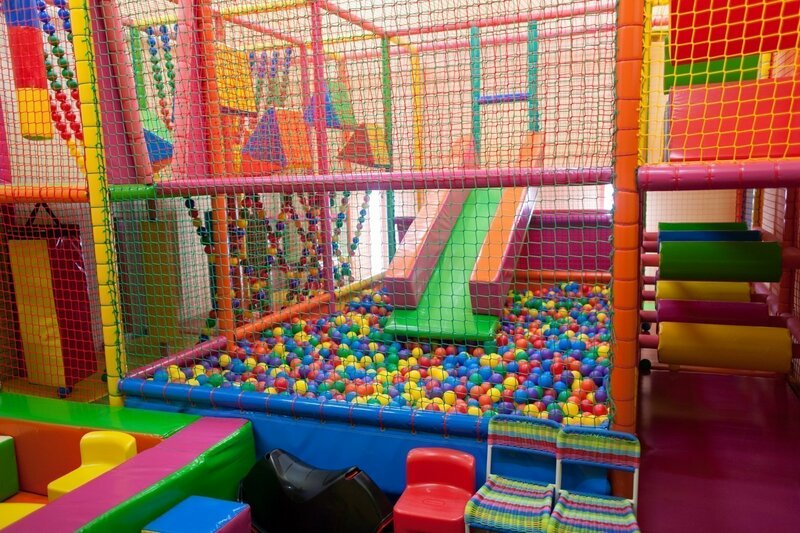 My childen were in seventh heaven, literally! 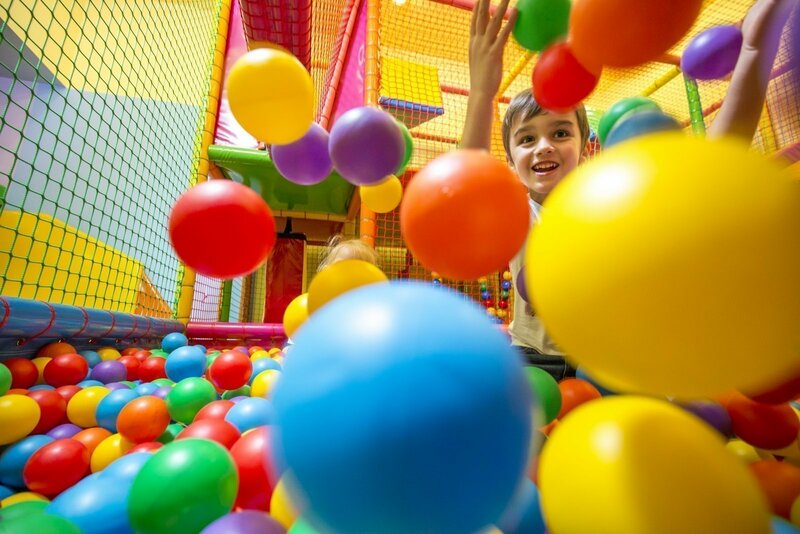 Our jungle gym is a fabulous place where no kid gets bored. The maze, slides, hanging bridge, jump course, ball pool as well as a corner with crayons and Lego will win every little heart. 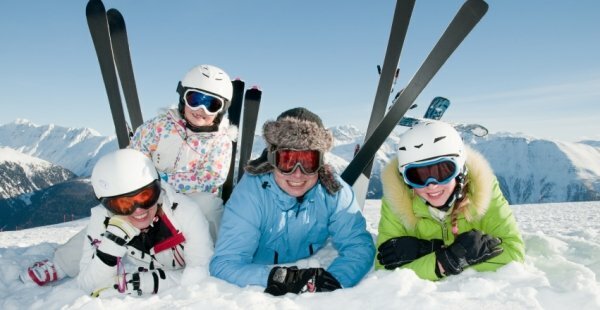 When children are under the care of our professionals, their parents can enjoy the skiing passion to the full. The little ones are safe – and what is more – they learn how to make the first steps on the skis. We will start with choosing the right equipment for your child and then let the great adventure begin! For all the age groups, of course! We had a whale of a time there, the rooms were clean, the staff kept on smiling. 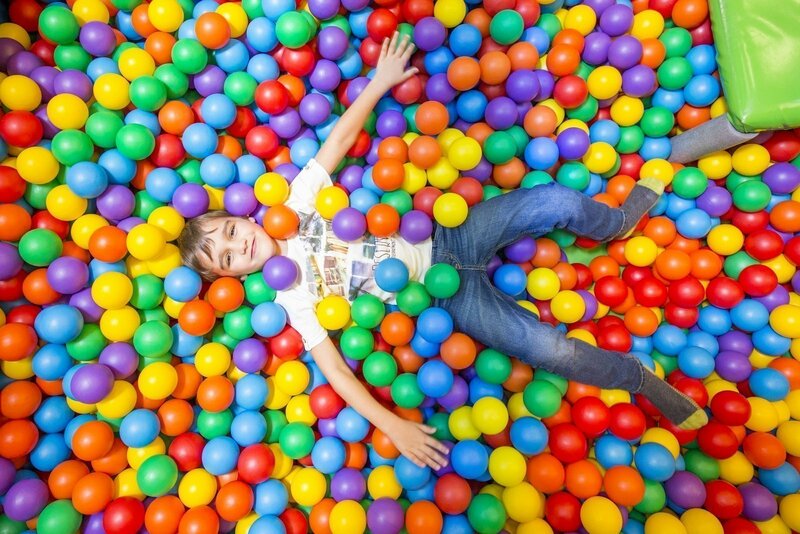 For kids, it's a sheer paradise on Earth. The breakfast was fabulous. The Jungle Gym was marvellous, as so were the trampolines, playground and external gym. And what counts the most is the... PEACE AND QUIET. Our system of the Roman Thermal Baths and Pools has been designed with the thought about the safety of our youngest Guests, of course. Their parents can take advantage of the SPA pleasures totally free in mind while the little ones are having fun in the funny paddling pool with an absolutely safe mushroom. 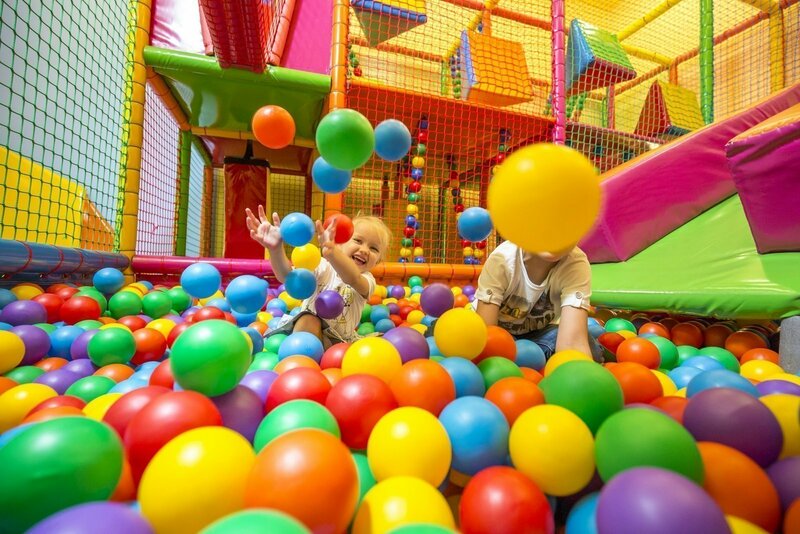 It’s kiddie place is ideal both for individual and group fun. Even in the Highlander Pub, there is a special corner for kids where the little ones can have fun, not disturbing their dining parents. And when the mums and dads are taking advantage of the outdoor gym, their children are having a whale of a time in the jungle gym nearby, with slides and swings. FREE STAY FOR THE LITTLE ONES! 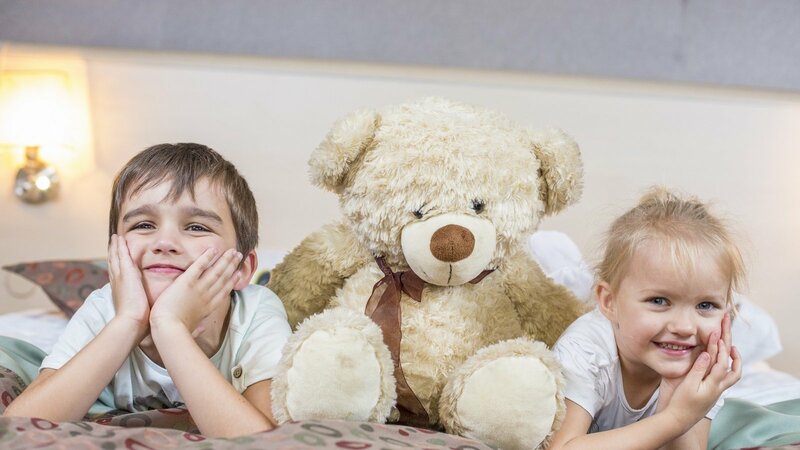 We’re extremely fond of children – these are our most important Guests. 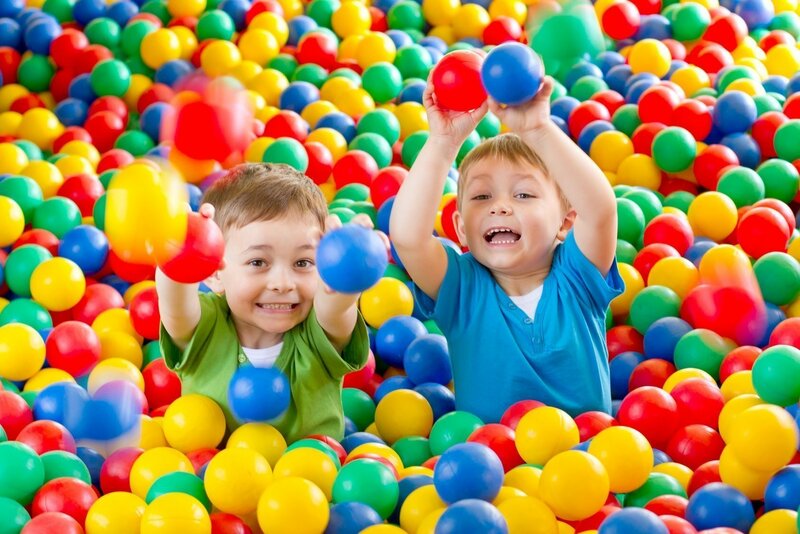 Children up to the age of 5 are accommodated free of any charges and these ages 6 – 14 get special discounts. A sofa bed or a baby crib (provided on request) will allow your children to reload their internal batteries after the whole day full of various adventures. You may also rent an electric kettle. In the evening, the TV SAT and WiFi will entertain you. … ‘cause parents need some relaxation too! Our rooms are very spacious, perfect for families with children. Everything was here well-planned so that the relaxation conditions are most comfortable. 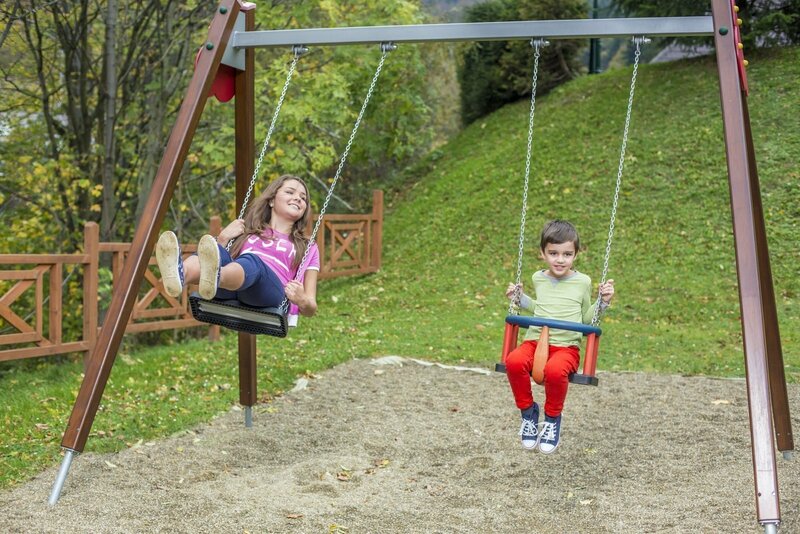 Kids get as many as 30 m2 of playing space. 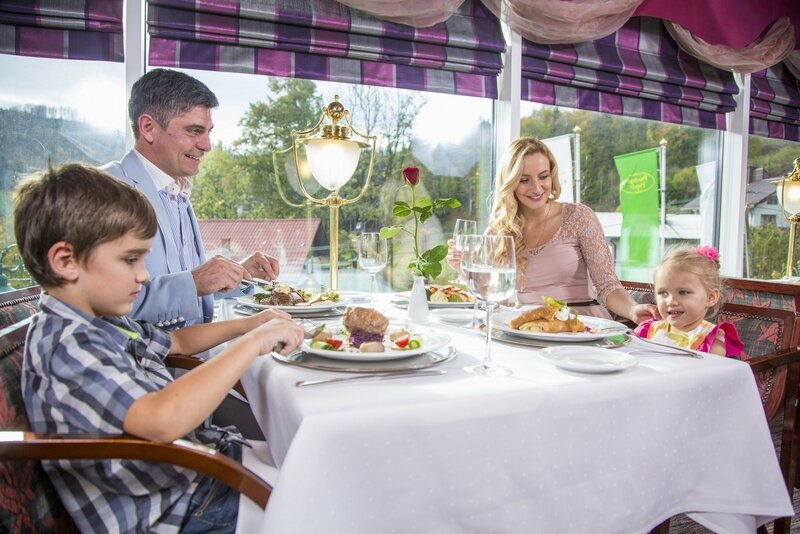 Parents can savour the Beskid panorama. All of the rooms, excluding the Economy ones, have balconies, secured with high balustrades so that your offspring are fully safe.